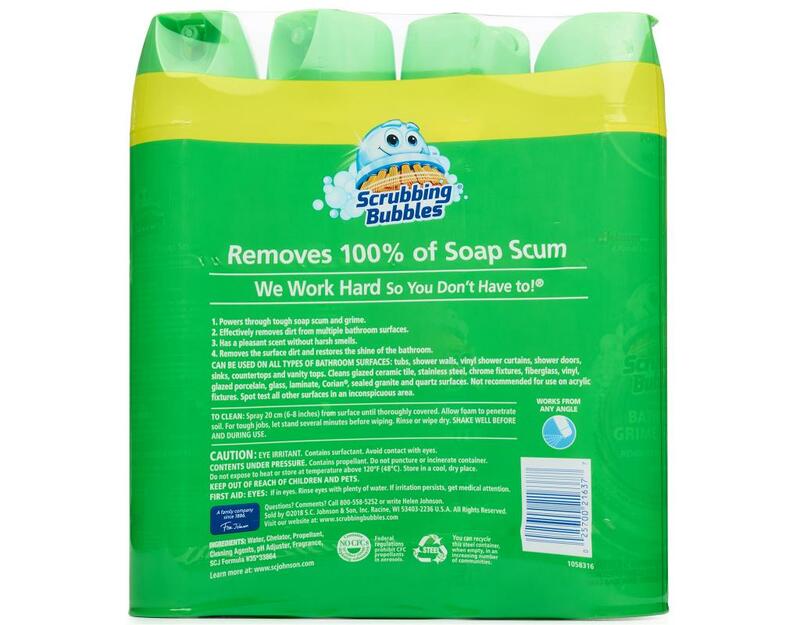 Meet the hardest working bubbles in the bathroom business. Whether you have a problem to solve or surface to clean, Scrubbing Bubbles products make it easy and worry-free. 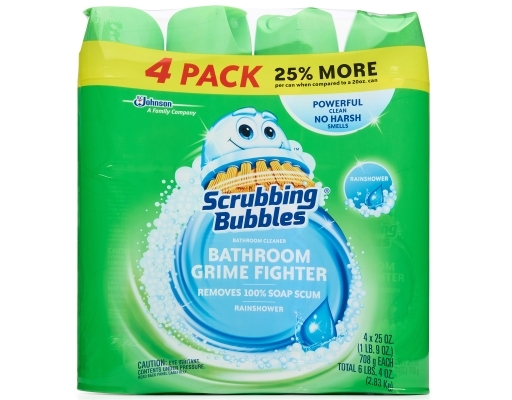 Bathroom messes just messed with the wrong bubble. A clean bathroom is only a spray away with Scrubbing Bubbles Bathroom Grime Fighter. 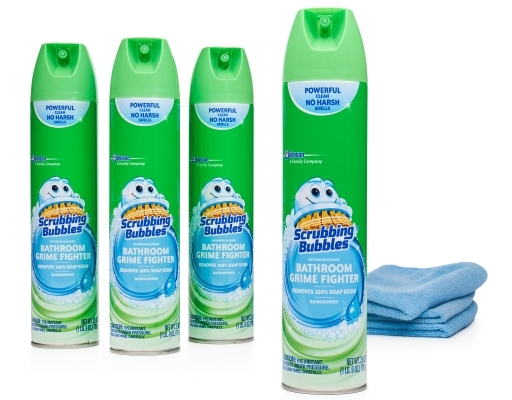 It’s a multi-surface cleaner with a penetrating foam that takes on grime where it hides. 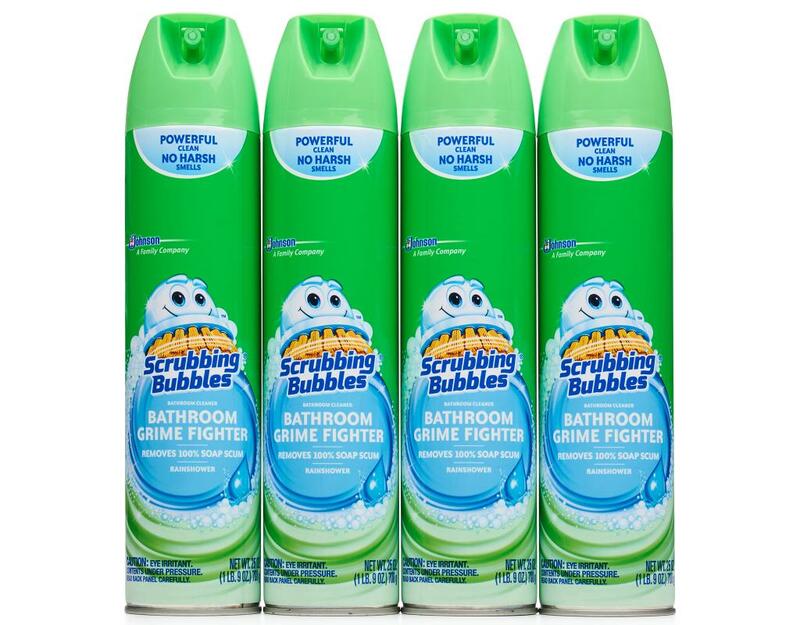 Bathroom Grime Fighter is best for cleaning large bathroom spaces—like the tub or shower—and in hard-to-reach places like between tiles and around fixtures. 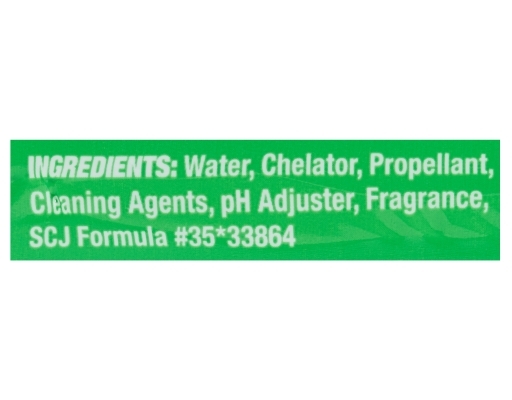 Spray and see: It delivers amazing fragrance while removing 100% of soap scum. So impressive! 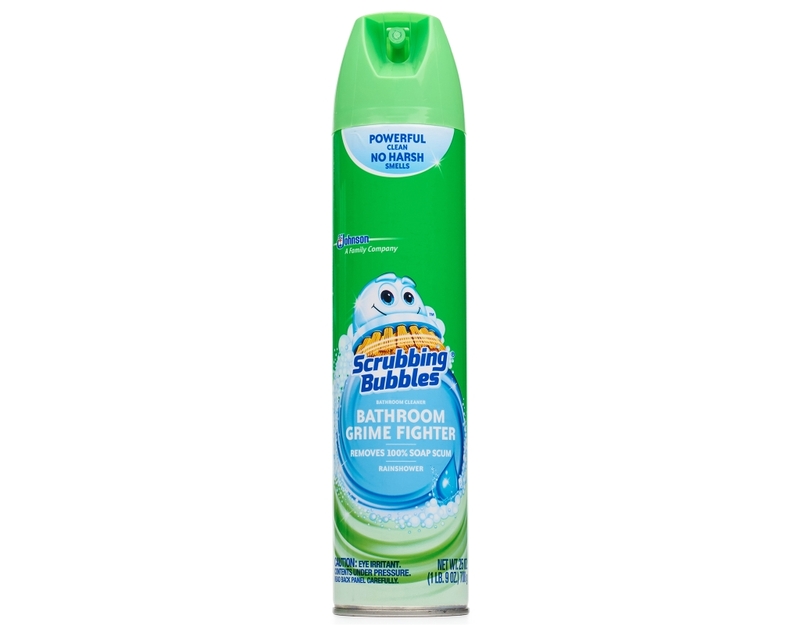 An easy way to get tough on bathroom surface messes. That’s cleaning reinvented. 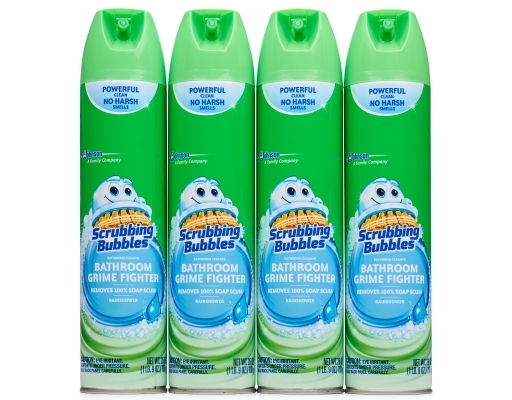 Its formula foams as it expands into nooks and crannies, helping to lift dirt, fight grime, remove soap scum, and kill 99.9% of bacteria. 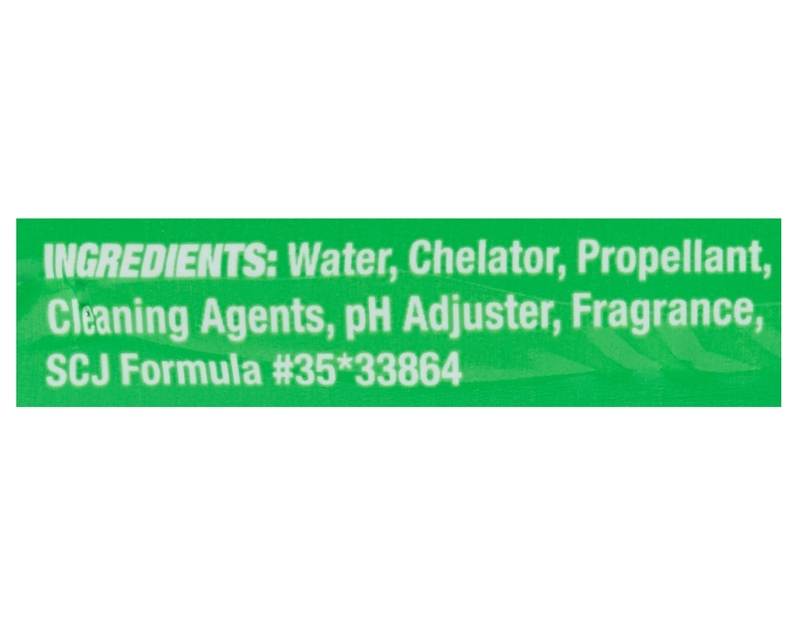 You can hear it working as this multi-surface cleaner safely cleans tile, glazed porcelain surfaces, fiberglass and more. It even works upside down, letting you get to all those hard-to-reach tight spots.